My youngest two children turned 16 today, a major landmark for them and me. Whilst I still have four children I guess I should really be thinking of them all as the wonderful young ladies they are and preparing for them to leave the nest. Steph is already well on her way, after three years at Cambridge she’s soon jetting off to China for the summer and then Japan for a year, followed by another year in the Netherlands. I’m not expecting to see her for more than a few weeks over the next two years. Even though we have Skype and lots of shared interests, I’m going to miss our birthday hikes, cafe breakfasts and long chat filled car drives! I still have a few years left to enjoy the company of Tess, Ann and Jennie, but that time will zip past must too fast and I need to keep reminding myself to take maximum advantage of it now. It’s going to be very hard on me to see them leave, but so very exciting to see them on their way in life. We had a lovely birthday meal out yesterday and much too much cake! I’m sitting in Caffe Nero now but I will be cycling soon, the perfect vehicle to complement my reflective mood and to burn off some of those calories. 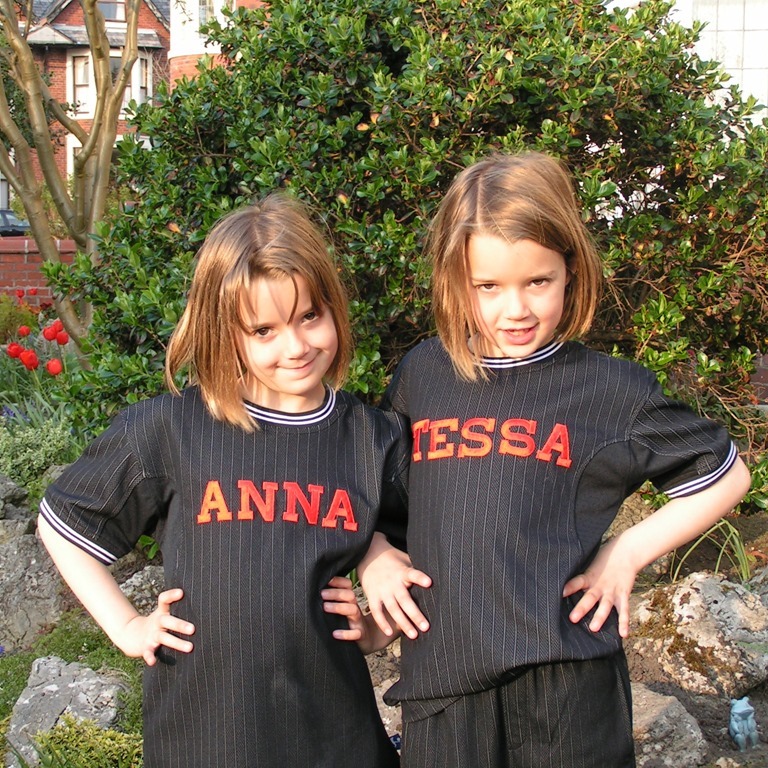 Today’s picture is of Tess and Ann quite a few years ago, in all their cute glory. Previous story Is Personal Knowledge Management Becoming Popular Again?